Next in our five days of geological christmas mini-theme is…. *drum roll*…. So what is a glen? Well it’s a term used in Scotland and Ireland for a valley that is very long and deep – often subjected to significant glacial erosion. Scotland has over 40 Glens and between them they expose some of the oldest rocks in Europe. Scotland has a long and fascinating geological history. It started off in the southern hemisphere as part of the ancient continent Laurentia and has since journeyed across the globe: its earliest rocks date back 3 billion years, in the form of the Lewisian Gneiss. 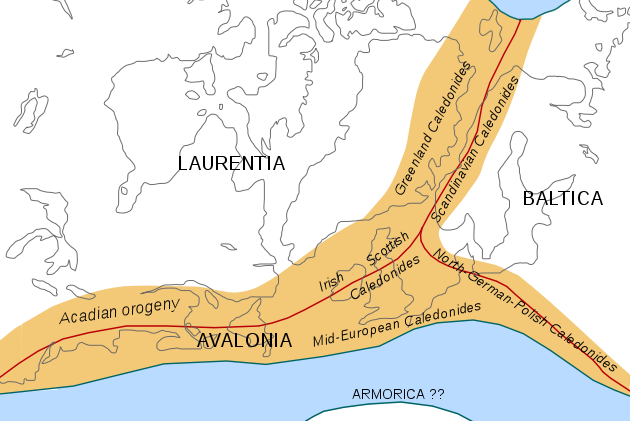 Location of the different branches of the Caledonian/Acadian belts at the end of the Caledonian orogeny (Early Devonian). Scotland is famous for its scenery which is in no small part due to its tumultuous geological history and the Glens are renowned around the world for their breathtaking beauty. Here we select 3 of the more geologically interesting ones for your perusal! Glen Coe is one of the most dramatic and iconic glens in Scotland. A stunning lanscape that has inspired many a line in folk songs, the name Glen Coe is often said to mean the ‘Glen of Weeping’ in reference to the Massacre of Glencoe which took place in 1692. The Glen is actually named after the River Coe which runs through it and bore this name before the battle of 1692. 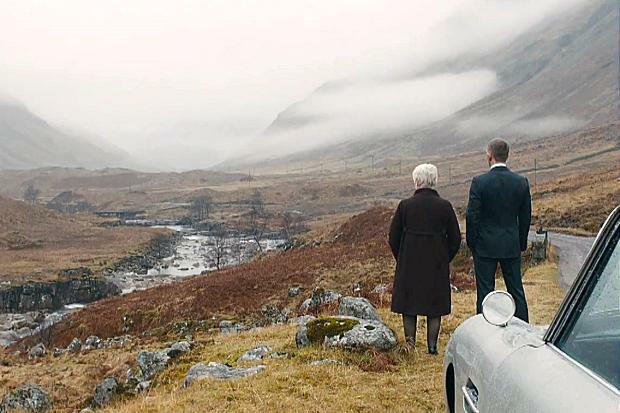 You may also recognise it as the location for the dramatic end to the most recent Bond film, Skyfall. Geologically Glen Coe is very interesting and is one of the best-exposed examples of cauldron subsidence. understood until Sir Edward Bailey’s work in the early 1900s. Its formation takes us back to 470-460 million years ago during the Caledonian Mountain Building period when the ancient continents Laurentia, Baltica and Avalonia collided. 40-50 million years later, there was a period of intense volcanic activity. As the eruption raged on, the expelled magma left behind a void. This resulted in slow collapse of the volcano and the formation of a caldera which eventually extended to 8km in diameter. In the latter stages of the volcanic activity, magma intruded into a series of faults around the caldera forming the ring-intrusions we see today. This long period of volcanic activity was interspersed with quieter periods where deposition of sediments occurred, resulting in the interspersed sediments and volcanics seen today. Since deposition, these rocks have been shaped and eroded by glaciers to give the distinctive U-shape of the beautiful glen we see today. Loch Ness with Castle Urquhart in the foreground. 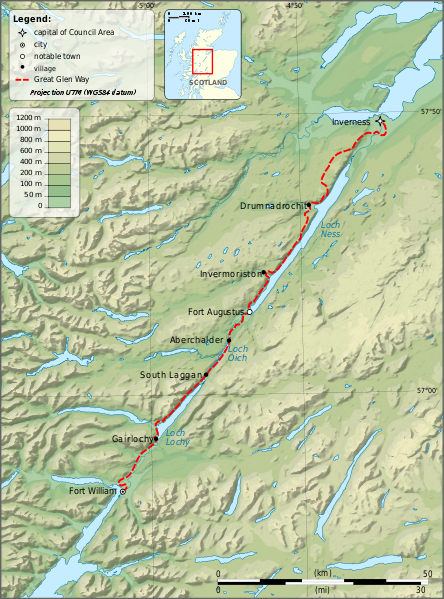 Great Glen truly lives up to its name, a glen that is over 100 km long running all the way from Inverness to Fort William, it is even visible from space and it cuts the scottish highlands in two. 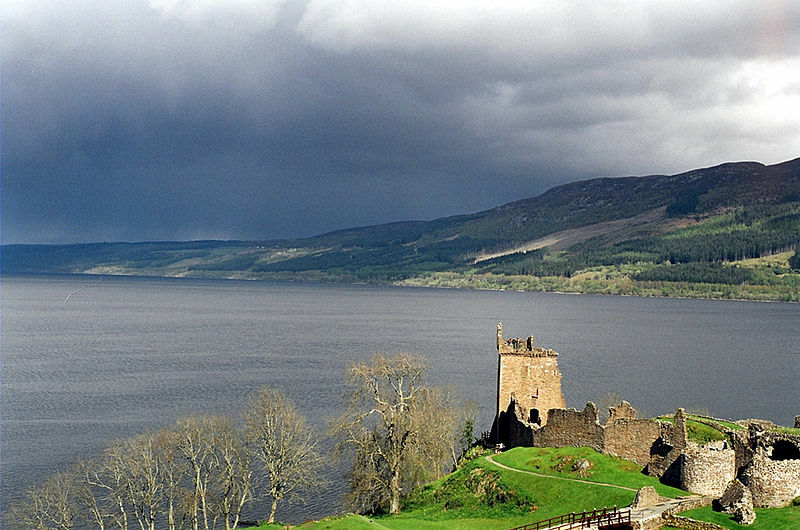 It is also home to the deepest freshwater Loch, Loch Ness, not to mention a certain legendary Loch Ness Monster..! Great Glen is the site of a massive strike-slip fault that can be traced as far as Ireland to the West and Shetland to the North east. It also forms the boundary between the Grampian Highlands in the southeast and the Northern Highlands in the north west. The fault has a complex history, thought to have involved several stages of movement beginning as sinistral (left-lateral movement) and switching to dextral (right-lateral movement) later in its history. Its total slip distance is thought to be in the region 100km. It was last active during the Late Cretaceous and Early Tertiary. Subsequent erosion along the fault zone during the Quaternary formed a series of Lochs including the famous Loch Ness. 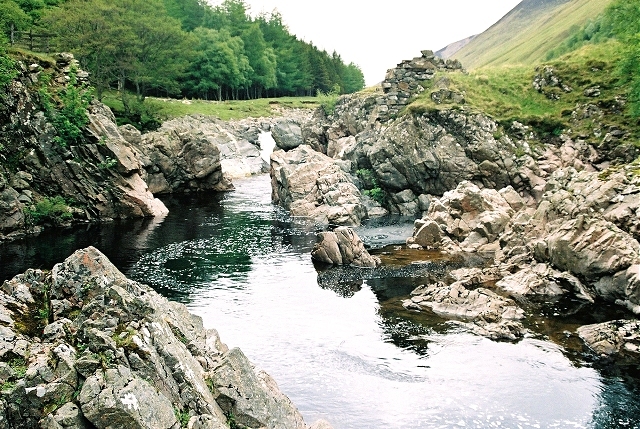 Glen Tilt is found in the north of Perthshire and has long been a site of geological interest. The River Tilt, which runs through the Glen, follows a geological fault for most of its length through the glen. The river tumbles over a series of igneous dykes formed when lava forced its way into the fault’s side cracks. It was also one of the sites that led to James Hutton’s forming of the theory of Plutonism. 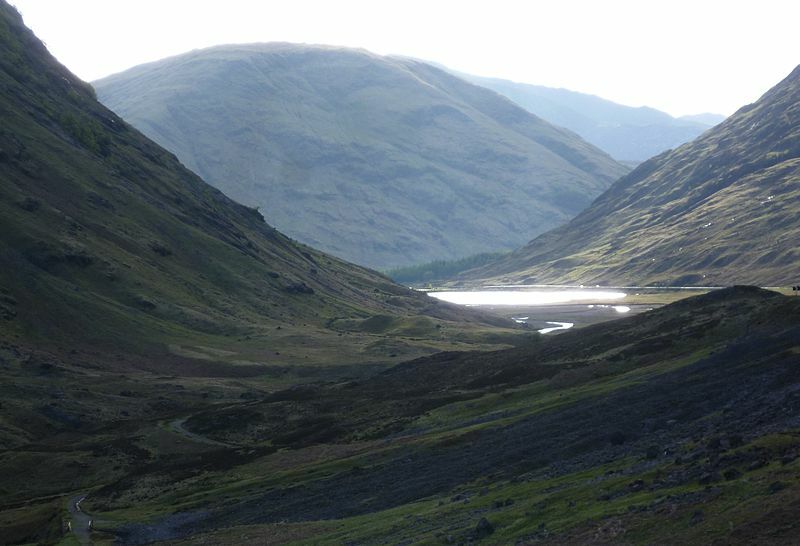 Hutton’s Locality – Here at Glen Tilt is where Hutton found evidence to support his theory of Plutonism. This showed him that the granite formed from cooling rock contradicting the prevailing theory of the time, Werner’s Neptunism, which stated that rocks were formed by precipitation out of water. Hutton then concluded that the granites were younger than the schists, a finding that led him to develop the theory of ‘Plutonism’ and the concept of a geologically long timescale. Plutonism is the theory that heat from within the earth was responsible for uplifting rocks from beneath the sea onto the land. This was further proved at sites including the Salisbury Crags, the Isle of Arran and Galloway. Tags: christmas, geography, geology, glencoe, glens, maps, scotland, tectonics. Bookmark the permalink.